The university received the 'Innovation in Internationalising the Student Experience' and the 'Excellence in International Student Support' prizes at the 2016 NUS Internationalisation Awards. Both submissions were based on the university's two 'Global Lounges', which were created in 2013 as focal points for international activities and opportunities for students. The spaces, at the university's City and Clifton campuses, provide international and UK students with social support and opportunities for integration, and offer advice and resources to UK students to help them internationalise their learning experience. This includes making studying and working abroad easier for students and hosting workshops and social events to allow students to share their cultures and meet with other students from around the world. 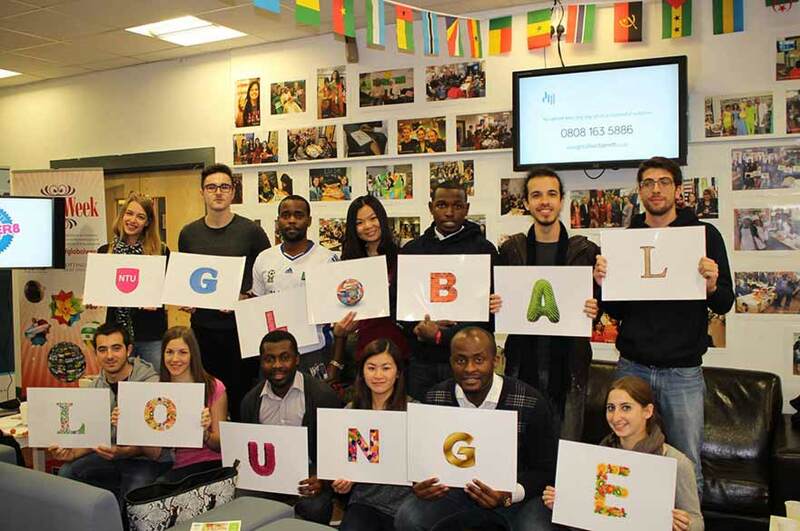 The Global Lounges have become thriving spaces – welcoming more than 10,000 students each year to more than 150 events – and have had a positive impact on international students. Since their creation there has been an increase in the uptake of students choosing to study abroad, attend international summer schools and participate in on-campus international activities such as the university's Global Week initiative. Winners were announced during the UK Council for International Student Affairs (UKCISA) annual conference in Sheffield. The awards are supported by UKCISA, which is the UK's national advisory body serving the interests of international students and those who work with them. A key theme of Nottingham Trent University's strategic plan is 'Connecting Globally', which includes a commitment to promoting internationalisation in the curriculum and enhancing opportunities for students to acquire international perspectives. Stephen Williams, Director, NTU Global at Nottingham Trent University, said: "No one has done more at a national level in the UK in terms of supporting international students and internationalising the student experience than the NUS and UKCISA. We are proud to have received recognition from both organisations for the work we have done to help our international students integrate and succeed in their studies and to help our UK students to acquire the international perspective needed to succeed in the global community." The news follows major success in April, when Nottingham Trent University was also named 'Best UK University for International Students' in the WhatUni Student Choice Awards.